To tell us where would you like to see carshare, please click the link for your neighborhood from the list of feedback maps on the righthand side of the page then "add a comment" at the locations where you think it would be most useful to locate a carsharing vehicle -- or to let us know where carshare might not be a good fit. Carsharing vehicles will be sited at the curb where there are existing alternate side parking regulations -- and only at corners for maximum visibility and convenience for residents. 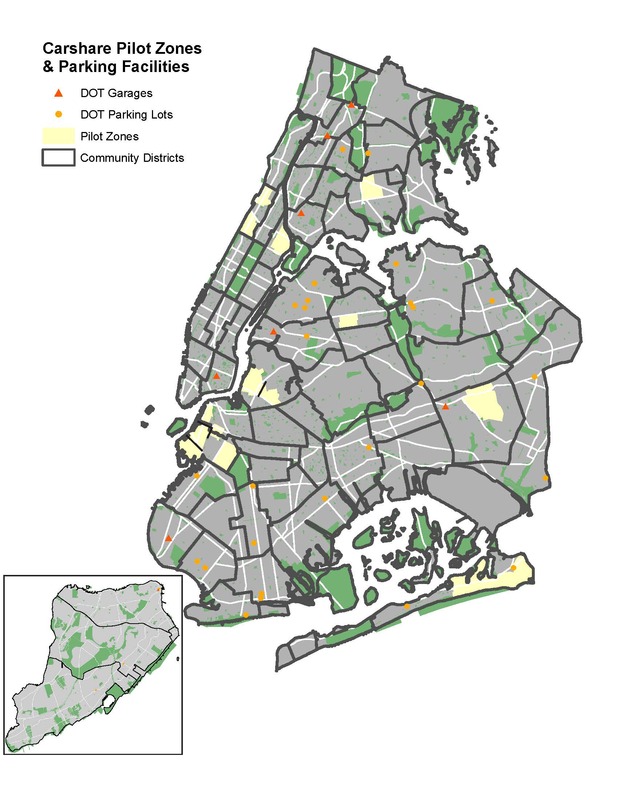 For more details about this carshare pilot, including potential benefits for all New Yorkers, click the Pilot Description link on the right-hand side of the page.